Tin Mal is 100 kms from Marrakech just past the village of Ijoukak on the road to Taroudant in the High Atlas Mountains. It was the spiritual home of the Almohads, who went on to conquer Marrakech defeating the ruling Almoravids and then creating an empire that stretched from all of what we know as the Maghreb, southern Portugal and Spain and part of Africa. It began when Ibn Toumert of the Masmoudi tribe established the mosque at Tin Mal with a fortified town, called a ribat, in 1122. He proclaimed himself the Mahdi and established a strict and puritanical rule over his followers. All you see today is the imposing mosque which was rebuilt by Ibn Toumert’s successor, Abd el Mumin who went on to take Marrakech in 1148. It has been recently restored. It is one of only two mosques that non muslims can enter in Morocco, the other being the Hassan II Mosque in Casablanca. The mosque is high up in a striking position over looking the river N’Fis andbears witness to the fervour of the Almohads with high walls and strong towers. It has been recently renovated and is one of the most memorable sites of historical significance in Morocco. There is a small museum housing architectural fragments. The mosque maybe closed on Fridays when the villagers of Tin Mal come to pray. In former times the mosque would have covered in white plaster and true to its founder’s puritanical ideals is free from the decorative features normally found in Moroccan mosques. The prototype for Tin Mal was the Great Mosque at Taza (near Fès), also built by Abd el Mumin. 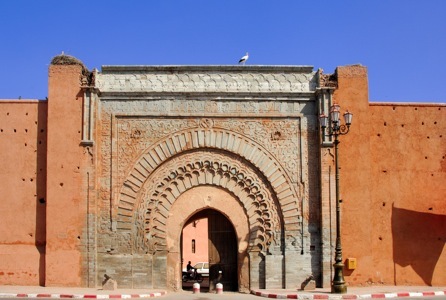 The Koutoubia at Marrakech (the Almohad capital as of 1148) was in turn modelled on it. Tin Mal was the starting point of the Almohad dynasty which lasted till 1269. In 1276 the Merinds stormed Tin Mal leaving only the mosque standing killing the entire population. It remained the heartland of the Almohads and its rulers would come in pilgrimage to visit the tombs of their predecessors and pray at the mosque. 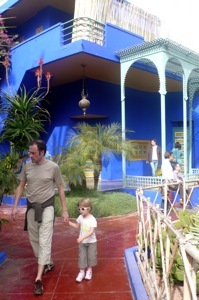 It is a place to soak up the atmosphere of a movement and dynasty which saw the beginning of the Morocco we know today. Further on from Ijoukak,Tagountafte, Souk Lara and Ikhfe N’Boul is the remains of the kasbah of the once-powerful caid of the Goundafa tribe. The Gandoufa vied with the Glaoua and the M’Touga tribes for control of the Atlas Mountains at the end of the 19th century. The Gandoufa Kasbahs which are now in ruins controlled the entry to the valley. Si Taieb Gandoufa succeded as caid in 1883 and fought other tribes with his army of 5,000 tribes men to increase his territory. 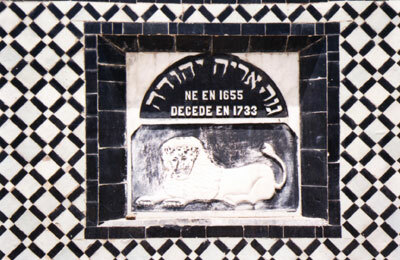 In 1906 rival tribes plundered the N’fis valley and burned his Kasbah , Talat –n-Yakoub, whilst the caid was away in Fes. However in 1912 the Kasbahs of Azemmour and Aguergour were returned to him and the French gave him money and weapons to conquer the Sous valley. He captured Taraoudannt in 1913 amd was appointed Pasha of Tiznit. He retired to his mountain kasbahs in 1924 where he died at the age of 65. 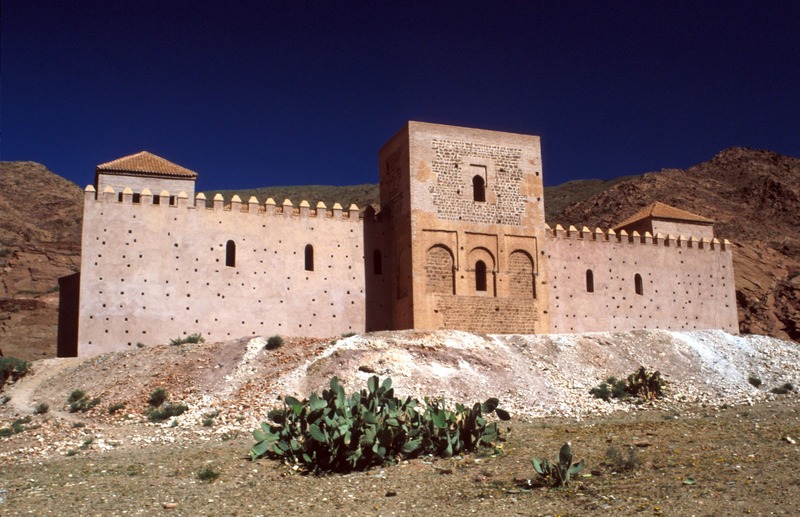 The French left it to leaders like Si Taieb Gandoufa and Thami al Glaoui Pasha of Marrakech to secure the south of Morocco during the protectorate and the ruins of their Kasbahs are their memorial and the relics of the last bastions of feudalism in Morocco. If you just have one day in Marrakesh, then a Marrakesh Siteseeing Tour is the perfect way to discover this exciting and exotic city. Marrakesh, often referred to as the Paris of Morocco is the the “red city or Al Hamra,” a city in southwestern Morocco within the foothills of the Atlas Mountains. Marrakesh is the second largest city and administrative center in Morocco. The heart of the Marrakesh, Djemma El Fna Square, offers the an exciting Moroccan travel experience for first time Morocco Travlers and also those returning for the second and third time to Morocco. Djema El Fna Square boasts beautifully colored souks gardens, palaces, snake charmers, outdoor food stalls and fabulous shopping for Moroccan goods. On a Marrakesh Siteseeing Tour you will be able to explore Marrakesh’s ancient monuments while also visit the Marrakesh contemporary and traditional art museums and it’s most respected ksours (doors) which will lead you into another world. For the best Marrakesh Morocco Travel experience a must visit is the Marrakesh Medina, located in the old quarter of the city. This historical area can be explored by foot alone or with a Travel Exploration guide. 1. Koutouba Mosque and its 12th Centuryinfluential minaret. Travel to Morocco and discover the best of Marrakesh (Book a Tour or call (800) 787-8806. Let us be your guide to Morocco Travel. Travel to Marrakesh, Morocco. Marrakesh is known as the “red cityor Al Hamra,” a city in southwestern Morocco within the foothills of the Atlas Mountains. 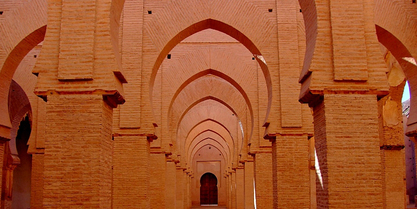 Marrakesh is the second largest cityand administrative center inMorocco. The heart of the Marrakesh, Djemma El Fna Square, offers an exciting Moroccan travel experience with its souks, gardens,palaces, snake charmers, outdoor food stalls and fabulous shoppingfor Moroccan goods. ►Travel Marrakesh Morocco’s Medina, located in old quarter of of the city. Explore this historically charming area by foot. 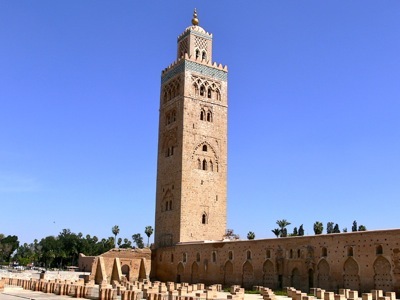 ►Next we will visit the famous12th century Koutouba Mosque and its influential minaret. ►Your guide will help you navigate through the labyrinth like streets and alleys of Djemma El Fna Square. Enjoy the aromatic streets, taste the fresh squeeze orange juice and venture into the souks(shops) specializing in Berber carpets, silver jewelry, artisan workshops, handmade shoes,tanneries, etc. Marrakesh is a city of underground channels built by the architects from Cordoba, Spain to provide water for the town and Palmery. ►We will drive to the Lower Medina to explore more of Marrakesh’s secrets: El Mansour mosque, the sixteenth century Saadian Tombswith its stark towers, the ruined16th century El Badhi palace, and the Mellah and the Jewish quarter. ►Enjoy a three- course lunchconsisting of fresh salad, tajine and fruit at one of Marrakesh most delectable restaurants. After lunch we will head north of the Mellah to visit the 19th century Bahia palace, originally built for Si Moussa, a former slave who became King Moulay Hassan’s chamberlain. The palace holds a courtyard and riads decorated with beautiful carved stucco and Arabic architecture. ►Next we will visit the contemporary Moroccan Art Museum or Tiskiwin, a private museum in Marrakesh that is dedicated to popular arts & crafts, styled as a beautiful Spanish-Moroccan house, next door to Dar Si Said palace, a smaller version of the Bahia. ►Next we will travel to the new city, French, Gueliz also referred to as the garden district and the home of Morocco’s Majorelle Gardens. The Majorelle Gardens are a lush, garden estate designed by Jacque Majorelle and maintained by Yves Saint Laurent.